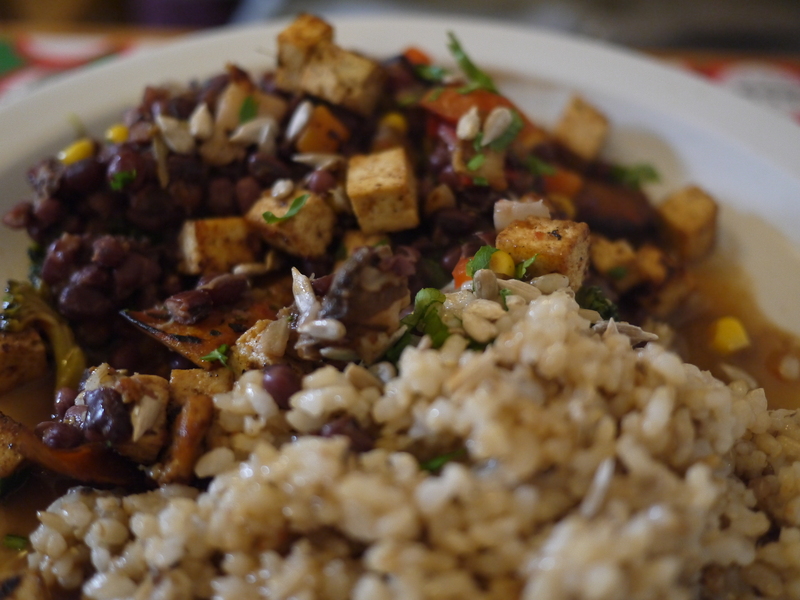 I am slowly trying more and more vegetarian places here in Buenos Aires, and one I will definitely be going back to is Algaia in Colegiales. Algaia is a restaurant, a place for cooking classes, and a provider of ready made meals (viandas in Spanish) that you can put in the freezer and pull out for a quick yet health and nutritious dinner. The owner, Nicolás, is a chef from France, trained in the French classic culinary tradition, who ended up cutting out animal products and alcohol. Upon arrival in Buenos Aires he worked at famous San Juan Café, and then later started Algaia. Anyway, the most important was that the food was great! 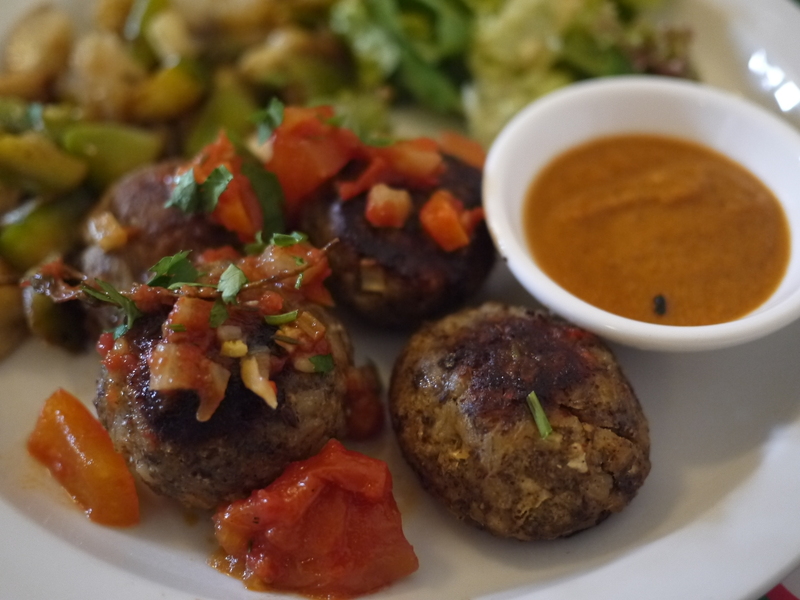 I had “meatballs” made of celery and oats, I think, and they were amazing. Tasty, fresh, delicious. For dessert, a very healthy brownie. Looking forward to going there again! We went on a weekday, when they have a shorter menu, so I am excited to go back on a weekday when there is more variety. I really like getting a glimpse of your experiences so far away from where I am. 🙂 Thank you! Thank you Mary!! All is well! Are you guys coming this way any time this year? ?